When we think of health, we often think of doctors and hospitals. 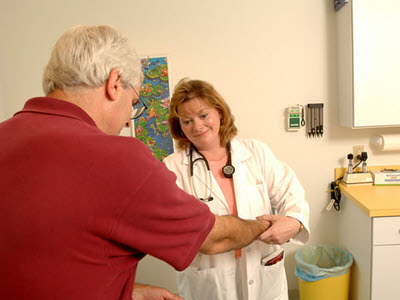 The goal of wellness is to help people stay well, preventing health problems. Wearing a seat belt, exercising regularly, eating healthy food — can lead to a long and healthy life. Volunteers of America Western Nebraska offers exercise equipment and classes. Health fairs are offered every other year in partnership with 9Health Fair from Denver and with Garden County Health Services. The food pantry promotes healthy eating as staff select healthy food to stock shelves and the community is encouraged to donate healthy food. One man came to the food pantry and sighed, "Oh, you have fruit." He was thrilled. Please contact our office, check our website, or facebook page to stay informed about our current yoga sessions and exercise class schedule! Exercise Memberships available for the below fees, include use of equipment during regular hours and access to health classes. **Sliding scale fees also available.